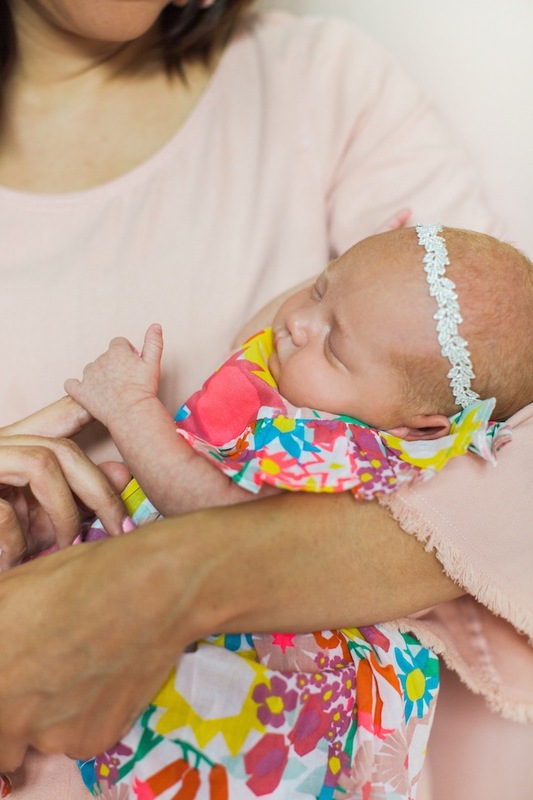 This week, I looked at my sweet Elle Belle and realized I no longer have a tiny newborn. Yep – it’s true. She’s seven months old now, and she no longer has that baby look to her. She is beginning to look so much more grown up. Each day she learns new things and gains new skills. It’s so fun to experience these milestones with her. Well, quite simply put, the SNOO (also available here and here) was a miracle for us in those very early days. As they boast on their website, the SNOO (1) reduces crying, (2) improves sleep, and (3) provides the safest bed ever for a newborn. The SNOO is an aesthetically pleasing, well-designed bassinet of sorts. We kept the SNOO right at our bedside for the first two months of Elle’s life. And that’s where she slept each night. It’s all based on Dr. Harvey Karp’s book Happiest Baby on the Block. He teaches the 5 S’s of calming a baby. And the SNOO embraces those concepts via three of the five S’s: (1) swaddling, (2) shhhh’ing, and (3) swinging. Basically, the SNOO replicates the environment in which your baby was accustomed to in your womb. 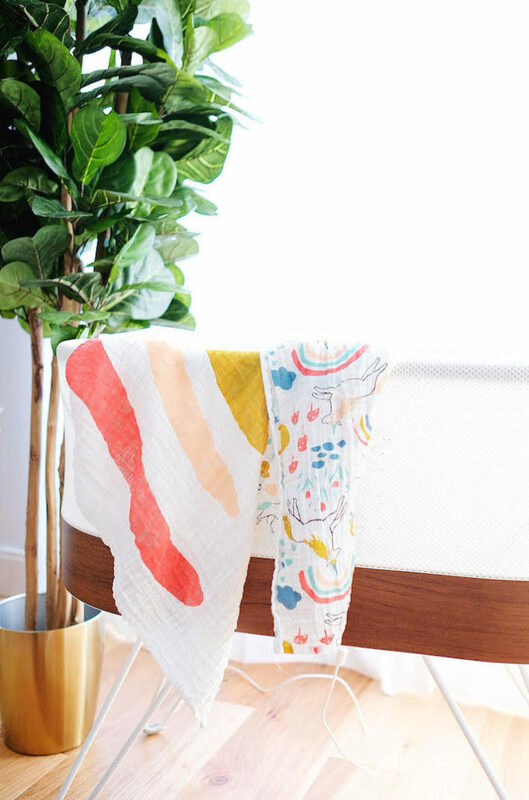 After safely securing your newborn in the bassinet in the built-in swaddle, the SNOO gently rocks the baby and provides white noise. Now, here’s where the magic happens… the SNOO is smart. It senses how content or fussy and upset your baby is, and it adjusts the levels of rocking and white noise to be precisely what your baby needs. 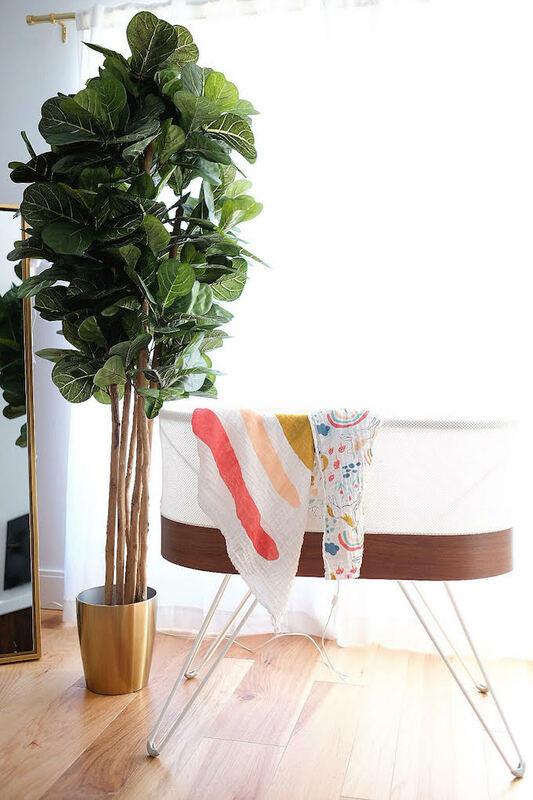 If the baby needs more soothing, the bassinet ramps up its motion and sound. After a while, if the SNOO is unable to calm the baby, it will shut down to indicate that the baby might need your attention. That’s why some refer to it as a “night nurse” of sorts. Like I said, we kept her bassinet right by our bed. But there is also a wonderful app available that we used a lot during naps. The app will alert you to the baby’s status. Early on, we were getting four plus hours straight of Elle sleeping. In fact, I would have to wake her up to eat early on, as she was so small she needed those feedings. Once she grew a little, we quickly were getting six straight hours of sleep with the SNOO, which I never expected to happen so quickly. Plus, she slept so soundly. Never a peep or a movement; just high quality rest. She enjoyed the gentle swaying and womb-like sounds of the SNOO. This one was the biggest one for me! Having a child at 40, I was very nervous about all the sleep I was going to lose. After all, I had 40 years of sleeping as much as I wanted. And I’m one of those people who needs her sleep. Thankfully, because of the SNOO, my sleep loss was less pronounced than I expected or than others have experienced. The vast majority of the time, Elle was easily soothed by the SNOO and went to sleep soundly and quickly. In fact, at bed time, I would secure her in the SNOO, turn it on, then go into the bathroom to wash my face and brush my teeth. By the time, I was finished with that, she would already be asleep! No crying at all involved. Then, in the night after a feeding, the SNOO allowed me to place Elle back in the bassinet without all the time and pressure of having to get her to go back to sleep. The SNOO did that for me! This cannot be stressed enough. Sleeping safety is such an issue with new babies. Exhausted parents sometimes make poor decisions regarding sleeping arrangements. Whether that’s allowing your child to fall asleep in your bed or something else altogether, exhaustion can get the best of all of us. 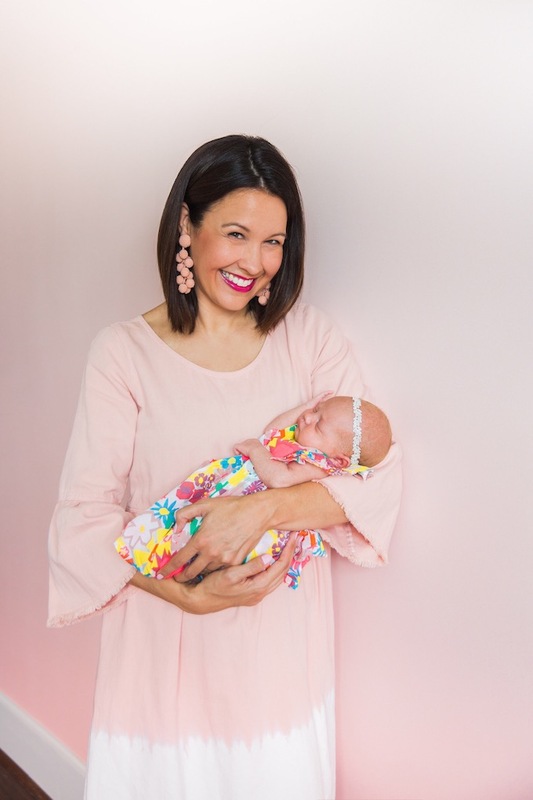 The built in swaddle ensures that your baby stays safely on his or her back all night – something that all medical doctors and child experts recommend. This greatly reduces the risk of SIDS as well as other issues. The SNOO could not be any simpler to set up or to operate. Well, I should say, so I’m told on the set up! Truth be told, when Elle came many weeks early, my friend Maritere (yes, Mari who is our photographer and art director here) rushed over to the house to set it up while we were in the hospital! She tells me it is simple. As far as the look of the SNOO, it fits right in with a modern, clean aesthetic. And you can’t say that about many baby gadgets! Why are so many children’s accessories eye sores in your home? Ugh. Anyway, this device is certainly not one of those eye sores. It’s a beautiful thing. Now, on the other hand, there are a few things I just want to be sure to share, in the interest of full disclosure and transparency. No doubt about it, this is a pricey item. At over $1,000, it might be the most pricey “gadget” or piece of equipment you buy for your newborn. For that reason, I encourage you to do your research. If you decide to move forward with the SNOO (which I recommend! ), try to take advantage of any discounts available. In fact, right now, they are offering 40 percent off on the SNOO website. This plays into the consideration above… Not only is it pricey, but it has a short life. The SNOO authorities recommend that you wean the baby off of this and move him or her to a crib by six months. In our situation, though, we used it for even less time for several reasons. First, as I mentioned above, Elle quickly became a great sleeper. Maybe the SNOO even influenced that! Also, we traveled with her at a very young age, so she had to learn to sleep wherever. Secondly, once she learned the skill of moving her head (a prerequisite for sleeping safely on the belly), she quickly let it be known that she preferred that. She simply prefers to sleep on her stomach, which the SNOO doesn’t allow with its swaddle system (for understandable safety reasons, emphasized above). In fact, she started sleeping through the night at only eight weeks old. So, when that happened, we transferred her to the crib – and have never looked back. Why not pair up with a friend who is having a baby six months before or after you? You can share the costs and the benefits of the SNOO! In fact, that’s what we’ve done. We were such a fan of the SNOO in many ways. It felt like a shame to let it sit idle. So, I’ve now passed it along to a dear friend who just had a baby herself this week. I can’t wait to hear more about her experience with the SNOO! I am so thankful for the opportunity to use the SNOO with newborn Elle. As a new mother, I was fairly clueless as to how to sooth a baby. So, I know the SNOO made my transition to motherhood so much easier by helping me sooth her to sleep, and thus letting me get more sleep. I’m not sure how I would have survived without it. Indeed, these have truly changed the way newborns sleep, and thus improved the way new parents sleep! And yes they’ve been selling like hotcakes. In fact, their website shows that they are currently sold out (expecting more in a week), but because of that they are offering 40 percent off. If you are considering the SNOO at all, I’d definitely recommend taking the leap – especially with the 40 percent offer I mentioned. That mitigates the expense of it, one of the only deterrents for some. If you have any questions at all, I’m happy to answer them. As with any big purchase, you want to do your research thoroughly before buying. Note: In my pics of Elle in the SNOO, she is covered with a blanket. 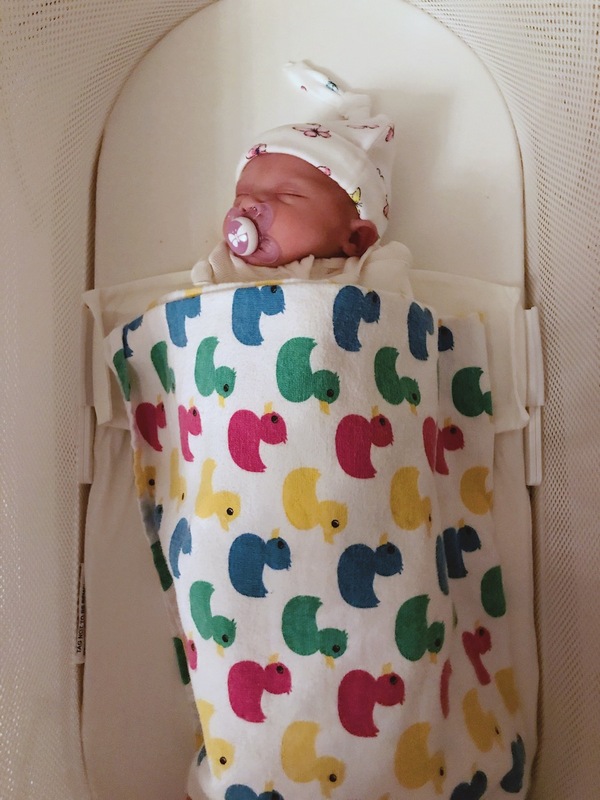 In general, the SNOO recommends NOT adding additional blankets over the swaddle, but this was done on doctor’s advice for Elle specifically given her small size at birth. Thank you to Happiest Baby for generously gifting the SNOO to me. All thoughts and opinions expressed here are entirely mine and unbiased. Was it hard to transition her into a crib? Did you still play white voice to her? Hey there – actually, somewhat surprisingly, we didn’t have any trouble at all. The SNOO provides a transitional mode of sorts. But once in her crib, we didn’t do white noise or anything. Granted, she’s a great sleeper in general. Hope this helps! Let me know if I can provide any further info. We are borrowing a Snoo from someone we know for our first baby! Since I haven’t seen it yet, I am a little concerned with how much it sways back and forth. Did you find the rocking motion to be okay? Any concerns that it shakes the baby too hard? Thank you! Sure – happy to help. So, just in case this isn’t clear, it doesn’t “rock” in the traditional sense of the word. The baby stays flat / the snoo stays on the same horizontal plane. It just sways from top to bottom. And no it’s a wonderfully gentle motion the baby loves, as it mimics movement and sounds from the womb. If the baby is fussy, the motion increases some, but it’s still not aggressive at all. It’s medically / scientifically based to sooth the child. Thanks for your review! Did you have Elle take her naps in the Snoo as well? I’m wondering if it’s necessary to have baby sleep in the Snoo for all sleeping periods so that they don’t get accustomed to other sleeping arrangements. Thanks! Hi Ellen – you know, they recommend you do all sleeping in it, but we didn’t necessarily do naps in it. She sometimes napped in a rocker thing we had downstairs or sometimes in a dock-a-tot. It all worked fine for us. Congratulations, Jen! Best wishes to you with your pregnancy and upcoming arrival of your little one. Let me know how the SNOO works out. Best wishes! I’m looking into purchasing the SNOO, but am a bit confused on the extra sleeping. How often was Elle eating in the first couple of weeks during the night? I guess the question is how would the SNOO help sleep if you need to feed every 2-3 hours anyway. Sure, for the first few weeks, you’ll still be waking up to feed every two to three hours possibly. Where this helps, though, is getting the baby back to sleep each time. Once the feeding is finished, you just secure him or her back in the snoo and he or she will be lulled to sleep. So, it saves you the time and effort and stress of getting the baby to sleep. Does that make sense? And for me, breastfeeding unfortunately wasn’t a viable option despite extensive efforts. So, with formula, she quickly became able to sleep longer periods of time. Does that help? Happy to continue the conversation! Best wishes to you. How long will the snoo run for before it shuts off if it unable to calm a baby. 1minute or 5 minutes? Hi there – I’m not sure of the exact length of time before timing out, though I do believe it’s longer than one minute. However, the Snoo team does advise that if your baby is upset for more than a minute you check to see if he or she is hungry or uncomfortable. Hi there! My husband and I just purchased the SNOO and we’re expecting our baby girl in early November. I was wondering, for those long nights of sleep did you (or are you) suppose to change the babies diapers at all? Is it okay to let them sit in it for 6+ hours? Also, what did you normally dress your baby girl in before wrapping her in the SNOO Swaddle for those nighttime sleeps? Thanks for your help!! Fingers crossed our girl enjoys the SNOO as much as yours did! Hi there, Jessica – First, congrats! You are in for the best experience of your life. Second, trust me – you will not want to wake up a sleeping baby! Haha. If she is sleeping, she is fine. If she wakes up, she might need to be changed and / or be hungry. Third, just dress her in regular pajamas. We always do footed ones so she stays warm. They do advise that you not use a blanket on top of the swaddle, so you’ll want to bundle her up. Hello, just purchased the SNOO for our newborn and wanted to get clarification on a feature…when we put the baby in the swaddle to go to bed for the night do we turn it on having it play the white noise and gently sway back and forth all night? So on the app it would say that she is calm and thus not being on a “level” but still swaying gently all night. Hope that makes sense! Thanks! Hi Raquel – yes that’s the idea. I’m happy to help with any other questions. Hello , I purchased the snoo almost two months ago and I’ve been in contact with the support team of snoo regards to my son waking up often . They’ve given plenty of tips and extremely helpful but my little one barely sleeps four hour stretches . I’ve heard so many successful stories with my friends but when they purchase the snoo their babies were about 10 weeks . My little one is almost 8 weeks and i still haven’t had a full night rest . Not sure if this product will work for my little one . Snoo gave me a few extra days to return the product with a full refund . What do you recommend? I’m considering keeping this item on how safe i feel with my little one being in it but still undecided once it’s a lot and waking up often as well ? Hmmm… I’m not sure that is uncommon. I think most babies still wake up during the night at that age to eat. I’d keep using it personally, but of course that’s up to you. What alternative would you consider if you didn’t use the Snoo? Hi Carrie! Did the sound and/or swaying motion ever distract you from sleeping? I’m sure it’s still better than a crying baby lol but just curious since I’m a light sleeper. Thanks! Hi Carrie! You mentioned traveling a lot and we are currently at 8 weeks, happy sleeping with the Snoo but so nervous about a week long vacation we are taking with the baby in three weeks. Did you “trial” sleeping without the snoo before your travels? I’m nervous my baby will only sleep well with the snoo. Hi Kara – Good question! Actually, we didn’t! And I was pleasantly surprised with how well she did on vacation. And then after we returned from vacation, that’s when I transitioned her to her crib. Let me know if I can help further. Hi, Carrie! Our little one isn’t due until July, but we’re trying to sort out if the Snoo would be right for us. When I talked to my doctor, she seemed a bit wary of the straps hampering movement, but keeping the baby on its back is one of my number one concerns. I’ve read that the Snoo protects against hip dysplasia and such, but did the straps attached to the sleep sack ever inhibit Elle’s movement to a degree that was irritating for her? Thanks! Hi Alison – First, congrats! You are in for the most exciting adventure yet! Nah, we never had any irritations with that. It’s nothing beyond how she would sleep swaddling anyway. Does that help? Let me know if I can help further. Best wishes! I hope you don’t mind, but I linked to this wonderful post on my own Snoo review at https://sleepbaby.org/snoo-review/ — thanks for all the details you shared. It’s an expensive item, but can totally make life easier while your baby is young enough to use it. Awesome! Thank you for sharing a link to our review. And I enjoyed reading yours. We’ve been using our Snoo since day one. My son is almost 3 months now. He sleeps an average of 3 hours at night (which we are already thankful) and would just wake up because he’s hungry. I wish he would sleep longer though. I’ve read great reviews online on how other babies sleep through the night. You mentioned in one of the comments that you formula feed. I do too. I’m curious how much formula you give your baby on each feeding. We give our son 5 oz during the night and 4 oz during the day. I was just wondering if the amount of formula we are giving him is not enough which causes him to wake up and not sleep longer in the Snoo. Hmmm… I’m not in any way equipped to handle this question from a professional / medical standpoint. But if I remember correctly, Elle was only receiving 3 or 4 ounces at that time. I’ve also heard great things about the SNOO. I wish I could get it, I just don’t have the money for it. My 5 week old just hates sleeping on his back and I’ve tried everything 😭 I’m so tired. I’ve heard that they have a rental program now!